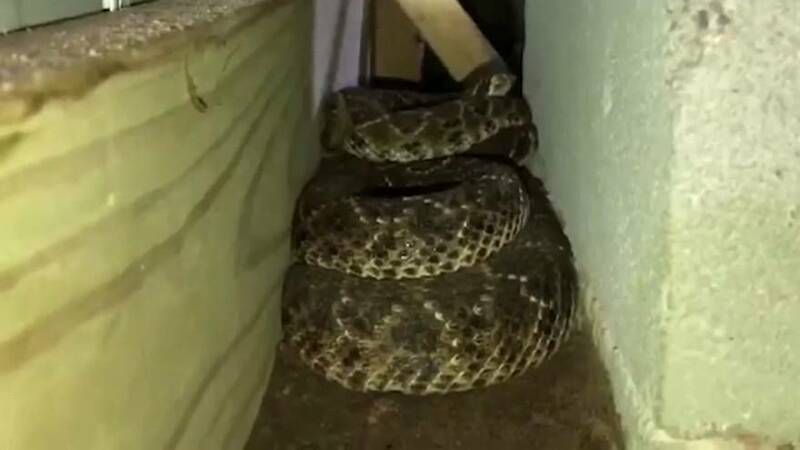 Un ciudadano de Albany, Texas, se encontró con una desagradable sorpresa cuando miró debajo de su casa para comprobar por qué no funcionaba correctamente su servicio por cable: serpientes de cascabel. El hombre llamó al equipo de Big Country Snake Removal, el cual sacó de su escondrijo ni más ni menos que 45 de estas serpientes, todas vivas. Algunas de ellas medían más de un metro y medio. Decidieron documentar su trabajo y subirlo a su página de Facebook con unas imágenes no aptas para todos los públicos. Okay, here it is..... 45 rattlesnakes. Our day started off with a quick removal in Woodson, Texas. After the Woodson removal, we headed back south to a house between Baird and Albany. Due to the high winds, their tv/cable was acting up, so a gentleman crawled under to see what was going on. He saw a “few” snakes and quickly crawled out.... The interesting thing here was they only see a few each year, their yard was very well kept and their house was nice and clean.... My point is, we run into this scenario often, and people don’t think it can happen to them. As I stated in the teaser video, rattlesnakes don’t care how nice your house is or what kind car you drive- they care simply about survival. We arrived around lunchtime and as soon as I crawled under I could immediately see that there was far more than a “few.” ? The video will take over from here... If you’d like an inspection/removal, need rattlesnake avoidance training for your dog, or are interested in snake-proof fencing, please let me know.